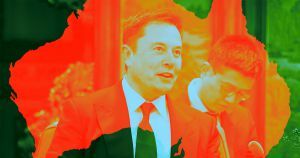 The dig would come at a competitive price of “about $15 million per kilometer, so probably around $750 million,” according to Musk’s tweet. That’s a lot less than the “up to $1 billion per mile” figure the Boring Company estimates on its website that a tunnel would cost at conventional rates. The idea would be to help Sydney’s notorious traffic. The tunnel would be a followup to Tesla — a different Elon Musk venture — installing the biggest lithium-ion battery farm in the world in South Australia back in 2017. It’s a project that won a lot of goodwill among Australian lawmakers by saving local cities from energy woes. It would also be the Boring Company’s first project outside of the U.S. Other planned projects include a tunnel that connects LA’s baseball stadium to a nearby subway line, and a high-speed connection that connects Chicago city to its airport. One of the Boring Company’s central missions is to bring down the costs of digging tunnels by developing faster and more efficient boring machines. While we have yet to see concrete proof of the company’s ability to cut costs by “a factor of more than ten” by doing that, a tunnel that relieves Sydney’s traffic could be a lucrative and highly visible project. Editor’s note Jan. 16, 2019 at 5:23 PM ET: This article has been updated to correct an error about the location of Tesla’s battery farm in South Australia. The post Elon Musk Just Offered to Drill a Hole Through An Australian Mountain appeared first on Futurism.